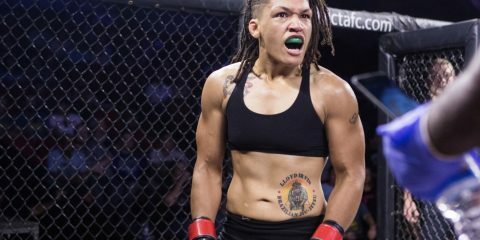 It’s time for Legacy Fighting Alliance to continue its revolving door of champions — blame the promotion’s knack for producing titleholders who immediately sign with the UFC — by crowning a new lightweight kingpin. 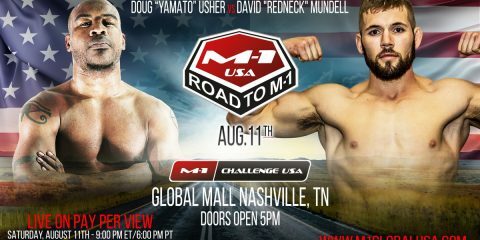 Undefeated up-and-comer Killys Mota gets his chance to claim a piece of LFA gold when he takes on Austin Hubbard. The 28-year-old Mota has spent the majority of his career competing as a lightweight, but he has also dipped down to the featherweight division for at least one fight. 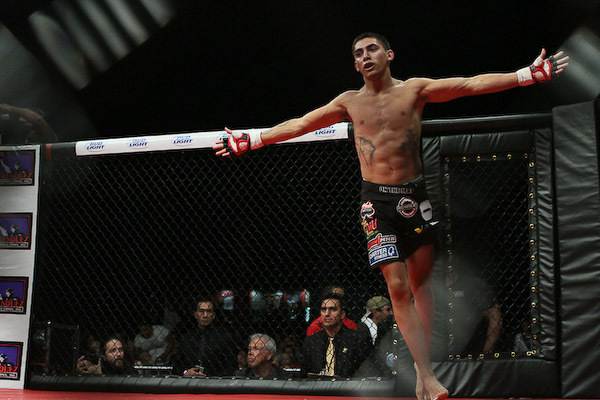 The Teixeira MMA product turned pro in 2013 and won four of his first five fights via strikes. The other contest in that stretch ended in a submission win for Mota. He’s tacked on three more submissions and one additional knockout over his six most recent affairs. Mota, who appeared on Imortal FC’s inaugural card and has also competed under the Aspera FC banner, has faced varying levels of competition. 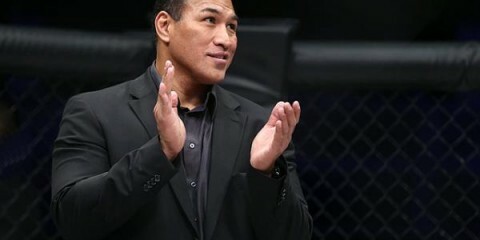 His most notable opponents have been João Carvalho, whom Mota decisioned, and Japanese star Akihiro Gono, whom Mota dispatched via a third-round knockout. He earned his crack at the belt with a submission victory over fellow LFA 56 fighter Bobby Lee in June. Hubbard, 26, has had a couple of setbacks in his career. After a 7-1 amateur run, the Elevation Fight Team export made his pro debut in 2015. He reeled off stoppages, including one submission and three wins via strikes, over his first four fights. In 2016, Hubbard suffered a submission loss to Sean McMurray, who has not fought since that contest. “Thud” responded with two decision nods and another submission victory, but he stumbled again in a decision loss to grizzled veteran Eric Wisely. Hubbard answered the loss by picking up another two decisions on the scorecards, including a nod over Harvey Park in Hubbard’s LFA debut. 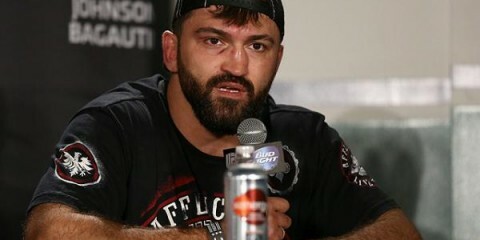 Mota’s victories over Carvalho, Gono and Lee should certainly turn heads. He is capable of threatening on the ground or finishing opponents on the feet. Mota does have several obstacles standing in the way of victory. The Brazilian should be more comfortable now that he has his LFA and American debut out of the way. Hubbard doesn’t have a bad record, but his submission loss is the most glaring mark against him. It’s magnified further by Mota’s own killer instinct on the mat. Mota has been very effective against some tough opposition, and he should find more success against a fighter who might have some holes in his ground game. Mota will hunt for the submission in this one, and there’s a good chance he finds one. Save Mart Center in Fresno, Calif.
Combate Americas has done great work in shining a spotlight on talent south of the border and in the border states. Its 27th venture continues this trend, but in a very special way. The company is set for an eight-man, one-night tournament in the featherweight division where the winner earns $100,000. The most intriguing quarterfinal match-up pits Albuquerque, N.M., fighter Andres Quintana against Peruvian prospect Marlon Gonzales. Quintana fights out of Albuquerque, but he trains at one of the city’s less-known camps, Luttrell’s MMA. The 27-year-old followed up an undefeated amateur run with a split-decision loss in his 2011 pro debut. 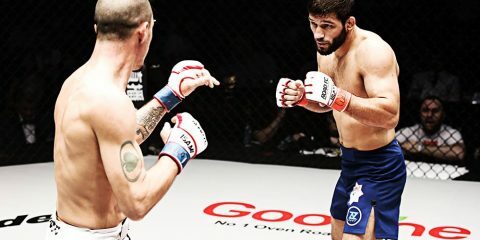 However, he regained his footing with eight consecutive victories, including a first-round finish of future UFC fighter Yaotzin Meza in 2012. He then entered The Ultimate Fighter 22 competition, but lost his first fight to Thanh Le. Following the exhibition loss, “The Bullet” extended his official winning streak to 10 fights with a split decision over Jose Luis Verdugo and a ground-and-pound stoppage of Prentice Ingram. He was finished via strikes by Adrian Diaz, but quickly started building a new streak with five wins, including a submission of Bellator and Strikeforce vet Rey Trujillo, under the Combate banner. The 26-year-old Gonzales is one of the more accomplished fighters to come out of Peru. “Fortaleza” struggled through a winless amateur career before turning pro in 2013 and taking decision wins in his first three fights. 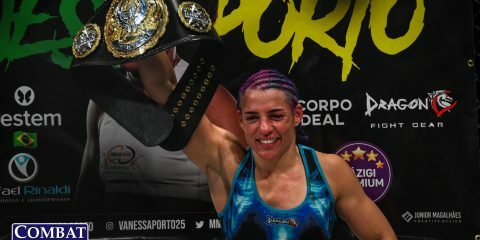 He ran into a rough patch in which he fought to a draw with Fernando Colmenares and dropped a decision to Jesus Pinedo, but Gonzales rebounded with four victories. After a no-contest and a subsequent loss to future UFCer Humberto Bandenay, Gonzales managed a 5-0-1 mark over his next six fights. This undefeated stretch was brought to an end by William Dias, who submitted Gonzales in the first round. The Peruvian fighter has since bounced back with an additional two wins. Their records are strong, but these fighters both have their flaws. Quintana has fallen victim to strikes on a couple of occasions, including on the UFC’s reality series. Gonzales, meanwhile, had a rough start to his MMA venture. Both men tend to finish fights via strikes, but they’re hardly consistent in dropping opponents. Quintana’s wins over the likes of Meza and Trujillo are far more impressive than anything on Gonzales’ resume. Quintana might not fly the Jackson-Winkeljohn or FIT-NHB banner, but he comes from a city with a strong MMA scene and trains under Chris Luttrell, a pioneer of that scene. He should have the upper hand against a fighter who has struggled against mediocre opposition at times. Gonzales isn’t an easy out, but Quintana’s boxing background should give him all he needs to take the nod. It could be just the first step in a march to the tournament crown for Quintana. Cage Warriors is set for its 100th numbered show. The top-billed fight on the card matches up two undefeated fighters for a chance at bantamweight gold. Welshman Jack Shore brings his undefeated nine-fight record to the cage to meet Mike Ekundayo, who has been perfect through seven fights. Shore is the latest prospect to come out of Wales. The “Tank” put up a ridiculous 12-0 mark as an amateur before finally opting to go pro in 2016. His ammy run included eight submission victories and a 2015 IMMAF European Open Championships lightweight tournament win. He needed less than two minutes to submit his opponent in his pro debut. Then, he joined the Cage Warriors organization and reeled off six stoppage wins. He finally reached the scorecards when he encountered UFC veteran Vaughan Lee at Cage Warriors 92. 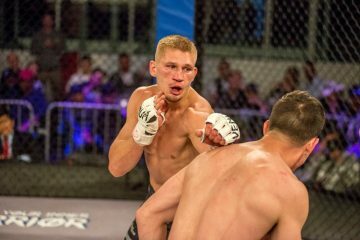 The Tillery Combat MMA Academy export got right back to the stoppages in his most recent fight when he finished Weslley Maia with strikes in the first round. Ekundayo is a far superior fighter than the .500 Maia. The 24-year-old Brit posted his own perfect run on the amateur circuit, but he opted to stay at that level for only five fights. “Airlines” made his pro debut in 2016 and used his fists to score three quick first-round finishes. He went the distance in his fourth fight before picking up the win over Gurdeep Shergill, but he added stoppages in his next two fights. The Titan Fighter product went the distance again in his most recent outing, which came against Ed Arthur at Cage Warriors 95. This fight should provide the perfect end to this big Cage Warriors effort. Shore and Ekundayo come to fight, and either man is capable of the finish. Shore, with a combined 21 fights across the amateur and pro levels, is the more seasoned man. The Welsh fighter also holds the more notable victories with his decision of Lee, a submission of the formerly undefeated Ayton De Paepe and an amateur run to a IMMAF crown. Ekundayo is another great test for Shore, who has won two fights since dropping to 135 pounds. Now, the Welshman finally has a chance to grab a title after somehow never getting the chance as a featherweight. This should go Shore’s way, but it’ll be a very competitive fight. Shore will wear down Ekundayo before finishing the fight with ground-and-pound strikes.